Departments of Otolaryngology - Head & Neck Surgery, Surgery and Anesthesia at the University of Toronto. Theme: "Patient Safety, Quality Improvement and Risk Prevention"
The registration deadline is Monday, November 5, 2018. Once we have received your registration, your registration status will be confirmed via the email address indicated on the registration form. 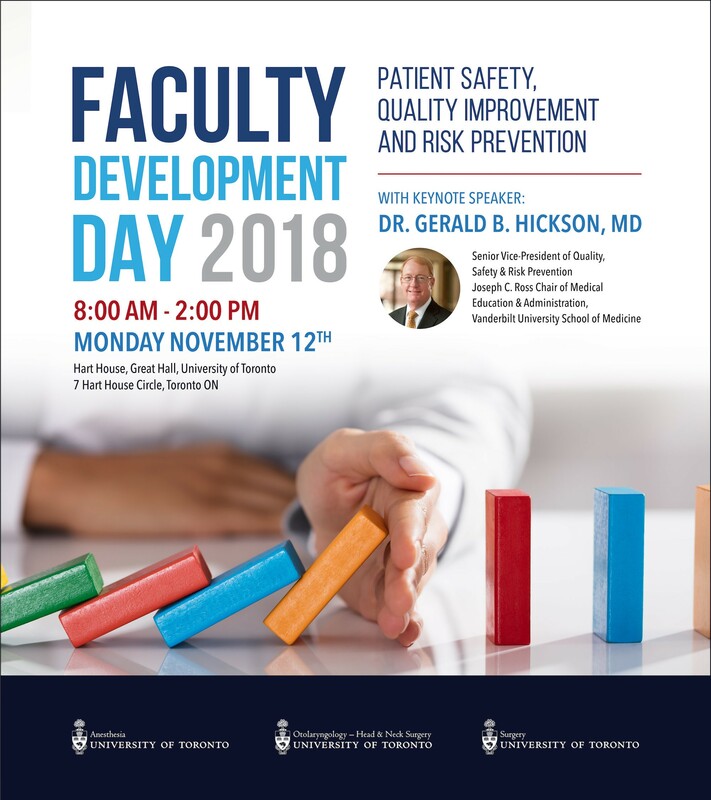 Please contact the CPD office at FacMed.Registration@utoronto.ca if you do not receive an email confirming your attendance within 48 hours of submitting your online registration form. The format will be the similar to last year's event, with registration commencing at 7:45 a.m and end at 2:30 p.m. Please note: New Faculty Orientation will be from 2:30 - 3:30 pm, a separate invitation will be sent out to faculty.